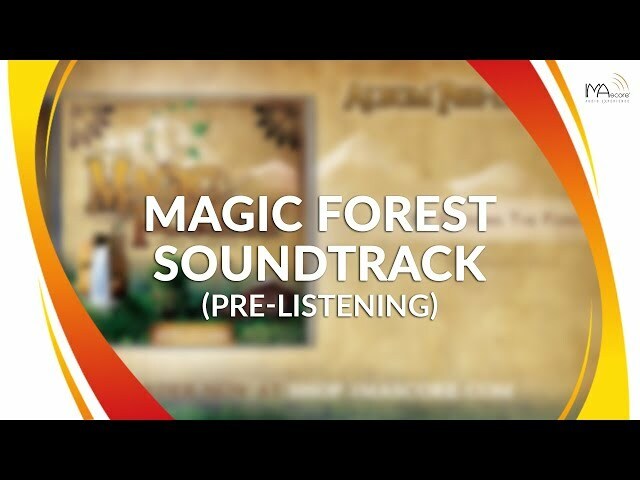 The official soundtrack of Magic Forest, the second indoor area, which opened in 2004 at the Dutch theme park Toverland, is now available at the IMAscore shop. After elaborate renewal, the stylistically versatile music is available on CD for the first time. 14 tracks with a total duration of 40 minutes sound magically dreamy, traditionally folksy and sometimes also in the style of a classic barrel organ, known from funfairs all over the world. The CD features the music of the 2015 season’s novelty, the bobsled ride “Maximus’ Blitz Bahn” and furthermore the music of the fun house “Villa Fiasko”, of the classic horse carousel and of the log flume ride “Backstroke”. Of course the magical music of the area itself is represented on the CD as well. The Magic Forest Soundtrack CD is also available together with the Magical Valley Soundtrack CD for an attractive bundle price.